The demo didn’t come without technical difficulties, though. You typically won’t find many games leading the viewership charts on Twitch when the League of Legends European Championship is underway and Fortnite streamers are live from the NFL Pro Bowl—but Anthem has managed to make its way to the top of Twitch. Anthem is one of the most highly-anticipated multiplayer games set to be released this year. With a release date set of Feb. 22, Electronic Arts has opened the game up early for players who qualify for the VIP Demo. Already, some of Twitch’s most popular streamers are taking advantage of the new demo. 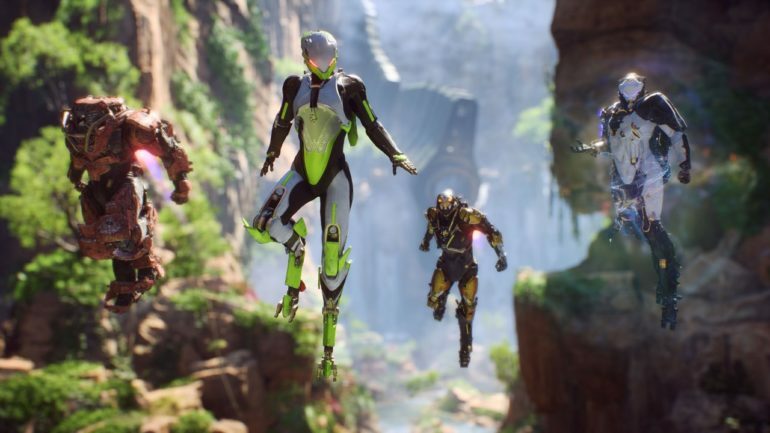 During its peak, Anthem had over 300,000 live viewers on Twitch. Streamers like Guy “Dr DisRespect” Beahm, Saquib “LIRIK” Zahid, and Ben “CohhCarnage” Cassell were seen testing out the new demo live on Twitch. Despite the popularity of the demo, it’s already experienced some technical difficulties. Upon logging in, many players were greeted with a “connection problem” message. Electronic Arts identified the connection issues as a problem with the servers and is working on a fix. Many feel the cause of the server issues relate to the fact Electronic Arts released a significant amount of access codes before the demo for players. Despite these issues, Anthem has successfully captured the attention of Twitch. For players who are experiencing technical difficulties, they have until Jan. 27 to play the demo. For everyone else, there will be an open demo available Feb. 1.